The SPECTRUM Inox bag housing range, in industry standard size 3, offers an entry level housing, ideal where low cost, long-life and high flow rates are required. 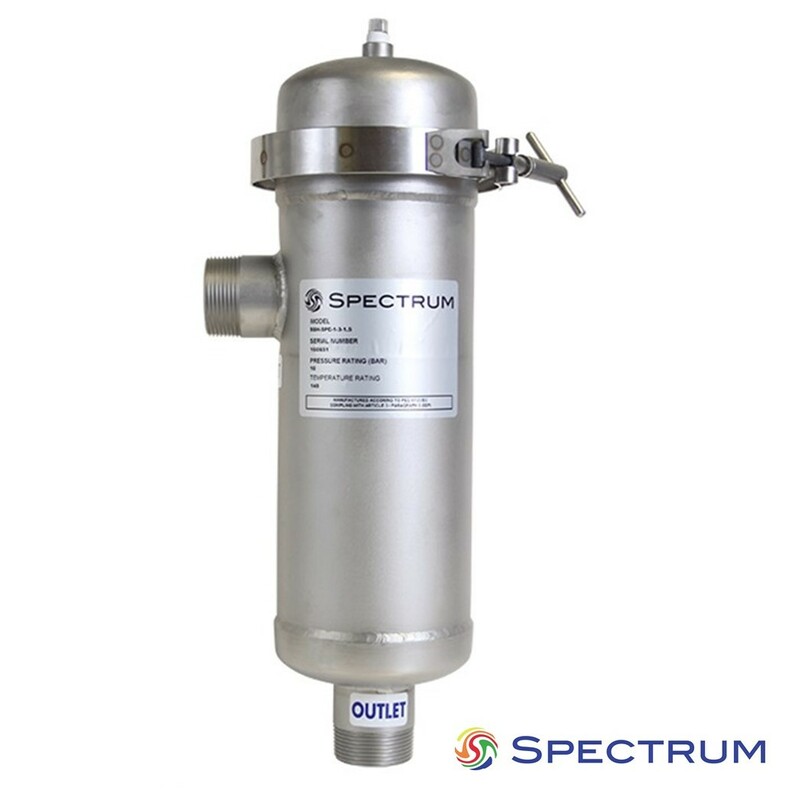 Priced to compete with many inferior materials, the SPECTRUM sized 3 bag housing in standard configuration allows users to benefit from the longer service life and superior corrosion resistance that an all 316L stainless steel construction offers. The housing will accept the SPECTRUM Economic and Premier bags, as well as most other manufacturers’ products.